This article is the first part of a series where we will review the various contexts in which a token can be valuable, and try to formalize this value. In this first post, we separate: the token as storage of value; the token as means of payment (settlement token); and the token as right for reward (security token). 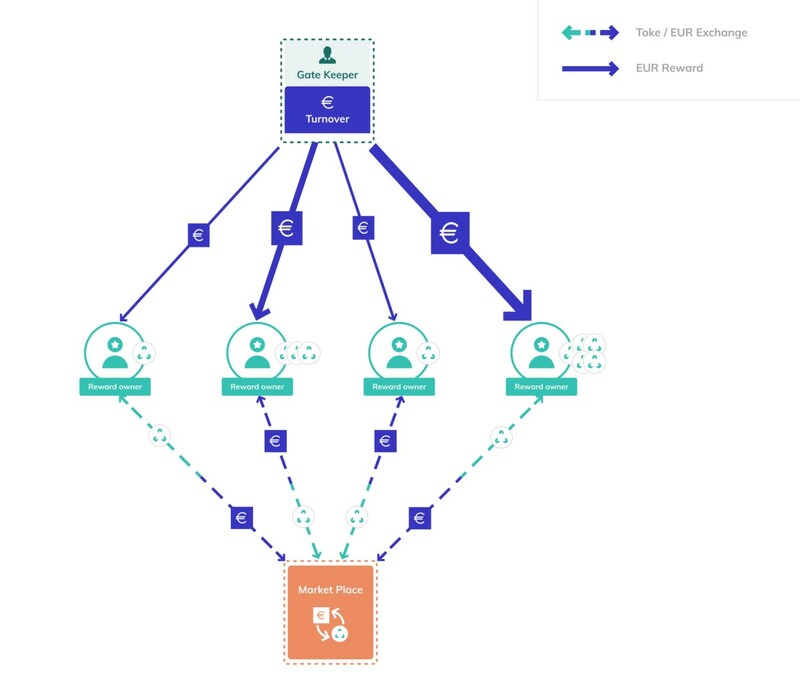 We show how token value is connected to turnover and other important variables, such as the velocity of the settlement system and the cost and rate of return of alternative reward systems. In the next post, we apply these considerations to a utility blockchain. Series written in collaboration with Veltys. The token is used to store value. It has value due to social consensus and collective considerations, mainly trust. It is like a piece of art, gold, shells. Its value does not reflect its utility (ignoring the argument that a beautiful artwork brings a priceless experience) nor its production cost. It mostly draws its value from a limited supply and a collective agreement on its desirability. The value may change rapidly due to sentiment, and a good example is the movement of the price of gold which is seen as a safe investment in times of inflation or market uncertainty. 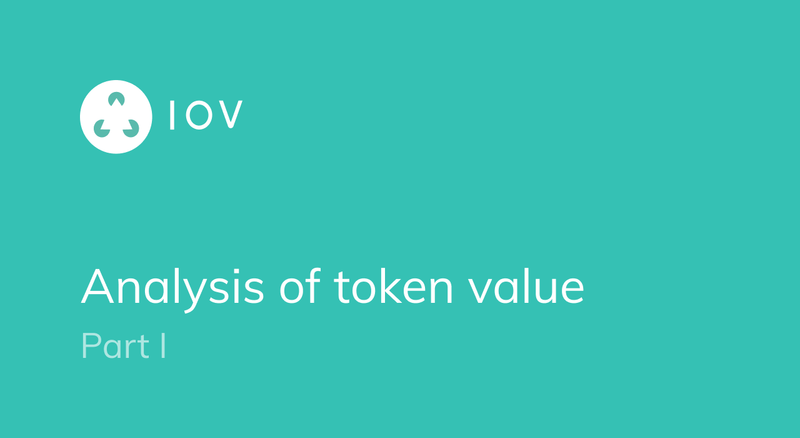 In this article, we won’t look any further into the store of value token from an economic analysis perspective. The token is needed as a means to pay for a transaction. For example, let us imagine a carousel. You need to pay 1 EUR settled in tokens to have go for a 15 minutes ride. You can buy your token at the cashier for 1 EUR each, therefore the price of the carousel is 1 token per ride. There are 10 seats and a total of 10 tokens circulating. In this example, up to 10 persons would go buy their tokens at the cashier, each of them paying 1 EUR for a total of 10 EUR. They would then go to the carousel, give their token at the entrance and enjoy the ride. In the meantime, the gatekeeper of the carousel will bring the tokens back to the cashier: the gatekeeper would get his EUR and the tokens would be ready to be sold to the next customers. The gatekeeper will do that after each ride departure, which is every 15 minutes. This describes the economic cycle of the token (cashier → customer → gatekeeper → cashier) which lasts 15 minutes. We call velocity (v) the number of cycles per unit of time, here 1 per 15 min. We call turnover the total amount of EUR collected by the gatekeeper per unit of time, here up to 10 EUR per 15 min. We call the token supply (T) the total amount of existing tokens, here 10 tokens. the market cap of the token is the total value of all the tokens, here 10 EUR. Now let us imagine that the carousel is very popular and operates at full capacity, with 10 people every 15 min. The owner decides to open another one next to it, with another 10 seats every 15 min, and still wants to charge 1 EUR per person per ride, settled in token. We see that with only 10 tokens available at 1 EUR each, they won’t suffice to fill the ride offering of 20 seats at 1 EUR. There will be 2x more demand for the token than there are tokens. One way to solve this is to cut every token in 2, sell each half-token for 1 EUR and each carousel accepts a half token for entry. What has happened is that a higher demand to settle a higher turnover leads to a higher token price. Another solution would simply be to create 10 new tokens and everything can keep going as it was, the higher turnover leads to the increase of the token supply. Increasing the token supply is inflation. It helps to keep prices stable while the turnover increases. And finally, the gatekeepers could also decide to start their carousels at 7 ½ minute intervals from each other rather than starting the carousels at the same time. This has the effect of circulating 10 tokens more rapidly and the two carousels can still operate at full capacity without changing the token supply or price. This doubles the velocity without requiring a price change, however, as observed there are physical limits to the velocity. We can interpret the turnover as: the value of the demand for tokens per unit of time. 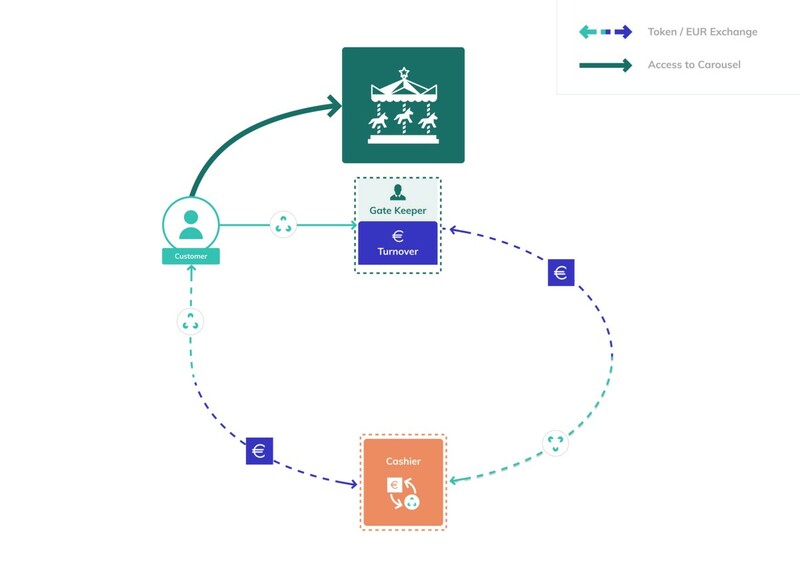 The customers need tokens to pay for the carousel, and they want to pay a total amount whose value is the turnover. Conversely, we can interpret vT as the total supply of tokens per unit of time. Yet, the token price is influenced by token lost or held. It may happen inadvertently when people lose or destroy tokens. It happens already in a way as the cashier adjusts the circulating supply to match the demand for the rides and keep the token price constant. However, it also means that a malicious agent could manipulate the token price and potentially benefit from it: the malicious agent buys tokens and holds them away from the economic cycle. After some time, the lack of tokens translates into a higher token price. At this point the malicious agent sells their tokens. If they do that fast enough, people do not notice the new extra supply and the price do not move before the malicious agent finishes selling their tokens. The malicious agent then pockets in the profit from buying lower and selling higher, a higher price directly resulting from their action on the circulating supply. This settlement token is therefore susceptible to malicious price manipulations, especially when the fraction of not-circulating tokens l is high and the circulating market cap is low. This is why it is interesting to measure individual token holdings not only against the market cap but also against the circulating market cap. Let us now look at the other side of the theme park business. There are the two carousels of the previous example. They work 5 hours every day, generating each 10 EUR per 15 min, which is 200 EUR per day per carousel, 400 EUR for both. The gatekeeper is just a volunteer and brings at the end of each day the 400 EUR to the theme park owners. There are 10 owners, who will split these 400 EUR between each other. They set up a system with security tokens: a security token is a token that gives the right to receive a reward. Here, there are 5 security tokens, each security token giving right to receive 20% of the reward. The owners can sell these tokens to each other: some might want to buy them because they think it gives a good reward, some might want to sell them because they think they can get better reward somewhere else. Let us assume that there is a bank that allows anyone to borrow money at 5% per day, and place money at 5% as well, without risk. The token supply (T) is the total amount of tokens available, here 5 tokens. The risk-free interest rate ( r ) is the rate per unit of time available to lend and borrow without risk, here 5% per day. The turnover is the total value to be distributed as reward per unit of time, here 400 EUR per day. the market cap is the value of all the security tokens in EUR. if turnover < rTπ, then a canny agent could borrow the T tokens from the owners, guaranteeing to return the T tokens at the end of a period plus the same reward (turnover) plus a small premium. The canny agent would immediately sell the tokens, receive πT EUR, place this at the bank and receive πT(1+r) EUR at the end of the period. They would buy back the T tokens at price π and give back to the original owners the T tokens plus turnover + (rTπ-turnover)/2 EUR. By doing this, the original owners would be happy to receive (rTπ-turnover)/2 EUR more than if they had just kept their tokens and the canny agent would have made (rTπ-turnover)/2 EUR > 0 with no risk and money initially. if turnover > rTπ, then a canny agent could borrow Tπ EUR from the bank and buy all the T security tokens at price π. At the end of the period, they would receive turnover from the carousels activity. They would sell their security token back for a value Tπ EUR, reimburse their loan Tπ EUR plus interest rTπ EUR and they are left with turnover-rTπ EUR > 0. Again, the canny agent made a profit with no risk and no money initially. In our example, at equilibrium the price of the security token is therefore 400 / 5%x5 = 1600 EUR and each token gives right to 400 / 5 = 80 EUR per day. We can notice that if nc > turnover, it costs more to operate the park than it brings in. No owner will want to operate a money losing business. However, this might be a necessary transition situation when launching the operations when the turnover is still low. This means that there needs to be another source of funds to be used to cover for the costs until the turnover is high enough. We can also notice that in our example, the market cap of the settlement tokens is 20 EUR while the market cap of the security tokens is 1600 EUR. They are both derived from a similar turnover, but their very difference in nature implies a very difference in value. A market cap of 20 EUR is much more susceptible to someone buying all the tokens than a market cap of 1600 EUR, this is why the order of magnitude of a token market cap is very relevant. We have presented a simple overview of the value of tokens in the context of storage of value, means of payment and of right for reward. The equilibrium price is obtained by matching supply and demand and reaching a situation where no arbitrage exists. These considerations are very general and we will explore in the next post how they apply to a utility blockchain in particular.